Not all handbags are created equal. Every woman knows that. We also know that a superior bag can run in the thousands of dollars. 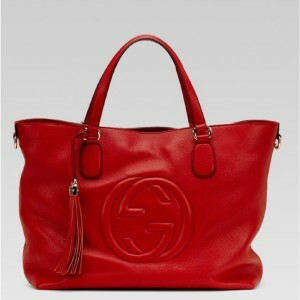 While most of us don’t have the money to spend $25,000 on a handbag, we still want and appreciate quality. At I Am Not A Handbag we review different handbag options that don’t cost you your child’s college education. We know that the most delicious accessories are what make us feel good about how we pull our act together, but . . . let’s stay real. Not too real though. After all, spending hundreds isn’t unreasonable, especially if we can get the bag of our dreams, or even a good knockoff of our dream bag. We women have our standards, but how do we know unless we follow every fashion guru out there which bag is best suited for our personality and budget? My first experience was with Gucci. I was on a business trip to Mexico City. While there I spent time with an ex-pat who knew the city like a native. She also knew me and my penchant for nice things. The first chance that I had any free time she whisked me away to La Zona Rosa. It was like Beverly Hills for shopping the big designer names, minus the big price tags. I walked with several great finds, but my favorite was a red “Gucci” handbag that I paid about a tenth of what I would have paid stateside. Yes, it was a knockoff – Mexico is famous for their ability to imitate, but the workmanship was quality and so was the feeling it gave me to sling that bag over my shoulder. So read my reviews, decide for yourself if you could possibly stand to spend thousands less but still get a great handbag. I know we all have our pride, and this is a very personal thing, but hopefully you will find my reviews helpful. Leave your comments below my articles. Let me know what great cops you’ve discovered – and where I can get them, too! Welcome to I Am Not A Handbag.